Old map by TARDIEU -Asie. Size: 13.4 x 17.1 inches. Condition: In good condition, a few slight stains to bottom margin, centerfold is pronounced, large margins. 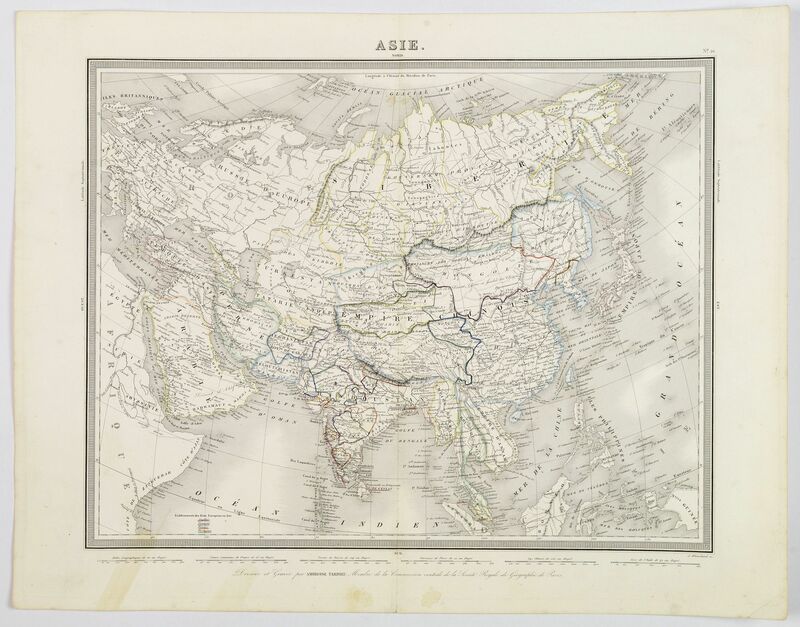 This is a detailed map of Asia by French cartographer and engraver, Ambroise Tardieu. 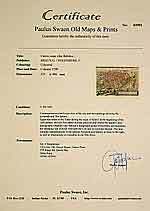 It covers from the Arabian Peninsula and Turkey in the west, eastward as far as Kamchatka and Japan, and includes the Empires of Hindoostan (India), China (includes Tibet), Persia (Iran), Afghanistan, Beloochistan, Birmah (Burma), Japan, Russia, etc. Parts of Europe and the East Indies are also included. Throughout, the map identifies various railroads, cities, towns, rivers, islands, mountain passes and an assortment of additional topographical details. The map is color coded according to regional and political boundaries with elevation rendered by hachure.